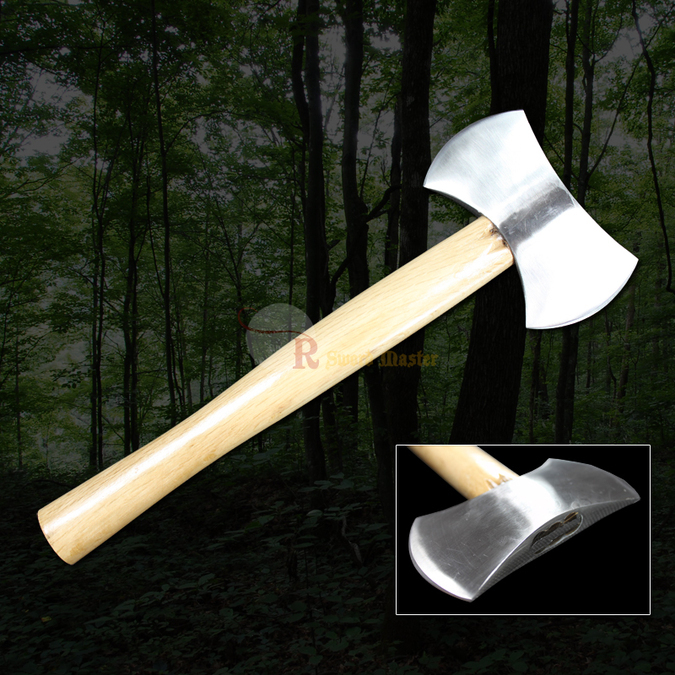 Specification Blade Material: 440 Stainless Steel Overall Length: 13.5 Inches Handle Material: Steel Blade Length: 3 Inches Blade: Sharp Product Description The camp axe is an indispensable item for any outdoor enthusiast, whether backpacker, hunter, kayaker, etc. 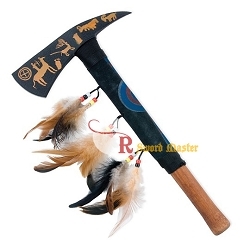 This is a well made traditionally designed axe that is also easy to carry. And because the sheath is made to be able to be attached to a belt, this axe can be handy immediately without having to dig it out. The head is fashioned out of 440 stainless steel with a blade length of 3" and is 5" blade to blade. 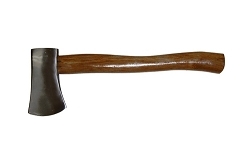 The wood handle is fully finished for a comfortable grip, giving the axe a total height of 13.5" The protective sheath is made of water resistant leatherette with a snap closure. The sheath is strengthened with rivets, and the back is slit to allow a belt to slide through. 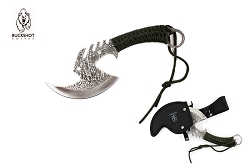 The double blade axe design also lends this axe towards the art of throwing. This item is new, with no problems.